Imitation is said to be the sincerest form of flattery, but that is hardly the case on Facebook. We receive countless reports from people and page administrators that have had their profiles or pages copied by scammers or bullies. Data mine the accounts they have friended under the bogus profile. Even if you have your privacy and sharing options set to ‘Friends Only,’ you are still at risk if you accidentally accept a duplicate friend request. Gather enough information and target close friends and family members with something called the ‘Grandma Scam.’ The scammer contacts people close to the victim and tells them that they are in trouble of some kind, usually stranded on vacation, arrested or in some other legal trouble, etc. This is accompanied by an urgent plea to send money ASAP via Western Union. Unknown con artists aren’t the only ones creating duplicate profiles and pages. Bullies often create fake profiles with the intention of humiliating or harassing their intended victim. If this happens to you, then we encourage you to report the incident to Facebook and contact your local law enforcement authorities. Most places have laws against online harassment and bullying. If you receive a friend request from someone you are already friends with, don’t confirm the request until you verify it with your friend. Contact them by some other means – phone, email, text, etc. 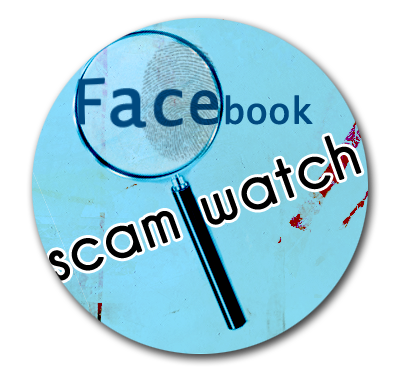 Obviously, if you contact them via Facebook the scammer will lie. Profile pictures and cover photos are public by default, and this can’t be changed. Don’t post a photo of yourself that can be copied and used against you. Use a generic photo or a photo of something that has meaning to you, but one that doesn’t contain your image. Make sure your privacy and sharing options are set appropriately so that people you aren’t friends can’t view your photos, videos, etc. Report the offending profile or page to Facebook. Below you will find the Help Center topics from Facebook that address this issue. How do I report a fake account that’s pretending to be one of my friends? What do I do if someone is harassing me on the site or through messages? How do I request information about an impostor timeline? I’m an authorized representative for a public figure, brand or business and/or hold the rights to a trademarked name. I believe someone’s username infringes my rights. What can I do? Let your current friends know about the fake profile. This simple step can help keep your friends from friending the bogus account and can save you both a lot of trouble. Contact your local law enforcement authorities. Most jurisdictions have laws in place against identity theft, harassment and cyber bullying. You may have to press the issue with them, because it isn’t uncommon for some agencies to avoid cases like this. Law enforcement agencies can subpoena or otherwise obtain information from Facebook that will help determine the identity of the person that created the offending profile. If you live in the U.S., then you can report the incident to The Internet Crime Complaint Center. Other countries often have similar agencies, so contact your local authorities or do an Internet search to obtain this helpful information.